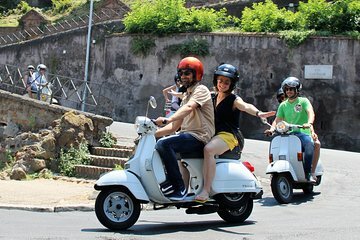 On this your, you’re driven on a vespa, getting all the fun and none of the trouble of zipping around Rome. We loved our Vespa tour. Our guides were amazing and so well informed on the sites of the city. We were lead by a great group of guys who made the experience so fun. It is a great way to see the city and those places that you might want to return to later. I highly recommend this while in Rome! This experience was the highlight of our trip to Rome. Out drivers were very professional and you could tell they had a real love for the City. They took us to places that you would not normally see on a trip to Rome. I would highly recommend it. Worth every penny. This was a wonderful start to our Italian holiday. Zipping around Rome, seeing so many interesting and out of the way places - fantastic. Our drivers were Simone and Riccardo Sp.? and they were simply the best. So much information about places and food/drink and the Italian way of life. We loved this trip - best thing we did in 3 weeks in Italy. Grazie Mille Valerino! What a fantastic time! Since I have traveled to Roma on a few occasions before, Valerino took me through the back roads to include Via Appia Antica and hidden gems of the eternal city to include his own neighborhood. It was an amazing and fun trip and I felt like I was famiglia as he shared his love of his city through his telling of the history, heritage and culture of Roma. Hands down the funnest part of our trip!! My daughter was mad at me for doing the best thing of our trip on the first day versus saving the best for last. It did turn out to definitely be the highlight of our 11 day trip. Donato and his colleague were fantastic, letting us pick where we wanted to go, offering great suggestions as well, providing history on the sites, driving carefully and skillfully in challenging Rome traffic and dropping us off at our choice. They gave us plenty of time for us to take our pictures and gladly took multiple pictures of the two of us. The closest you'll ever get to feeling like a local and no better way to spend an afternoon in Rome!!! If there is just one thing you do in Rome......LET THIS BE IT!!!! THE most amazing and coolest family experience. I booked this tour for my husband's 50th birthday and he absolutely loved it. The extremely knowledgeable guide took us to some fascinating places not generally seen on the tourist trail. Both the guide and his colleague were friendly, helpful and really interesting to meet. Their passion for Rome and their enthusiasm for it's history really helped to make the tour special. We both felt very well looked after and safe at all times. Seeing Rome by vespa is an exciting way to explore this fascinating city and I would thoroughly recommend it. It is the best way to see the eternal city! Valerino and Mimo short for Dominic were amazing! We saw more in three hours than our friends saw in three days! Very safe and comfortable - wonderful and informative - casual and friendly - best trip EVER! They also took us for hot chocolate because it was cold that day and it was amazing - like a melted candy bar. They explained that the tourist places used pre-processed hot chocolate and they took us to a bakery/coffee shop that the Romans go to. It was full of local people - and the donut was so good that we couldn't even speak. I am a little old lady and had been concerned about being able to get on and off of the Vespa, but it was very easy and Valerio was so sweet and made sure I was comfortable. They took us wherever we wanted to go and if we didn't know they suggested amazing things and off we went. 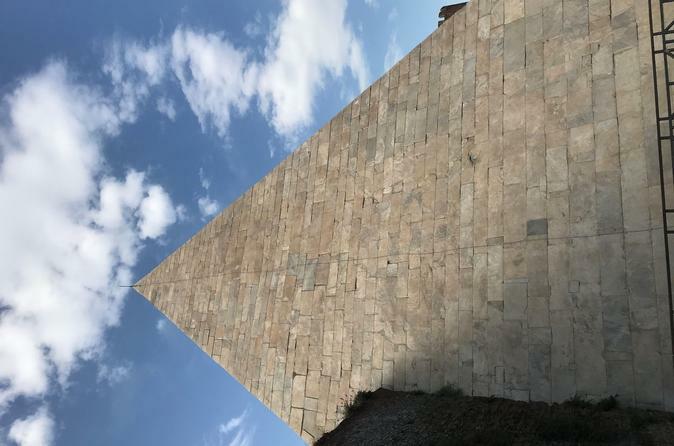 We saw the usual sights and some places that virtually no one goes - did you know there was an actual pyramid in Rome? When we were near the end of our time I mentioned that I would go to the Parthenon the next day since we were out of time, and sure enough - Valerio took us there even though our time was up. Oh yeah, and we also raced a Ferrari through the streets of Rome - and we won!!! Fantastic an absolute must! Best way to see Rome!! It is without a doubt the best way to start your trip to Rome. Extremely knowledgable, highly informative and lots of fun. Rome can be confusing but this tailored Vespa Tour takes you to places and sites to help you unravel the many layers of this great city. Cannot recommend this tour highly enough.